Lee started his independent financial services firm in 1996, intent upon providing personal, objective guidance that high-net-worth individuals, retirees, and business owners need to pursue their financial goals. "As independent advisors," Lee says, "we create objective, customized planning strategies to help manage, preserve, and transfer our clients' wealth. We are committed to helping individuals and families pursue their goals through what is most important to them: their personal values." Lee's credentials encompass a bachelor's degree in Business Administration, an MBA, Certificates in Financial Retirement Strategy, Business Succession Planning, and the designation of CERTIFIED FINANCIAL PLANNER™ practitioner. 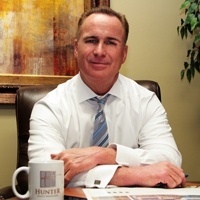 He served as president of the North Florida Chapter of the Financial Planning Association and as an adjunct professor. His education and over 2 decades of experience have made him a multi-faceted professional capable of evaluating virtually all areas of a client's financial life, designing strategies to address the needs of each aspect, and weaving the strategies into an integrated plan so all pieces work together efficiently.